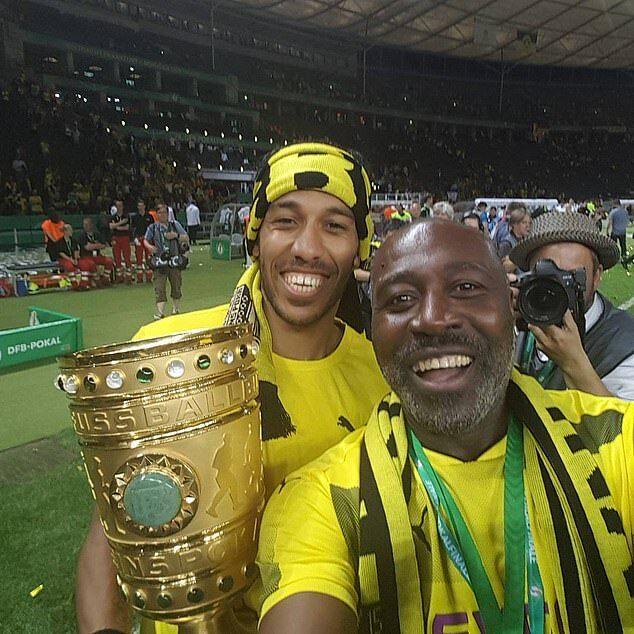 Gabon captain Pierre-Emerick Aubameyang has criticised the football federation (FEGAFOOT) decision to appoint his father as national team coach and said Pierre Aubame did not want the job. The Arsenal striker expressed anger at what he called the “amateurism” of the national federation, who this week named his father and Daniel Cousin, ex-Gabon captains, as joint coaches to succeed former Spain manager Jose-Antonio Camacho. ‘You were wondering why I have problems with you, why I don’t want to come and play for the national team,’ Aubameyang wrote on Instagram referring to the Gabon federation. You have told the whole world about my father, the so-called coach of the national team, when you did not even get his agreement! ‘The president of the federation called my dad but did not even care to ask about his state of health. He’s sick at the moment,’ wrote the 29-year-old Aubameyang, who has often skipped Gabon matches without reason. ‘To rush out and hold a press conference (on Wednesday) when my father said he would give his answer only the next day is another demonstration of why. FEGAFOOT agreed it went ahead in haste with the announcement but blamed the ministry of sport for instructing it to do so. ‘Aubame, who was in London for health reasons, had indeed expressed the wish to give his final response on Thursday afternoon to the President of FEGAFOOT. ‘But the Minister of Youth and Sports (Alain Claude Bilie-By-Nze) instructed FEGAFOOT to make the composition of the technical staff public on Wednesday evening,â said a statement from the federation on Saturday. ‘Having no desire to counter him, FEGAFOOT did make the announcement without calling Aubame back for confirmation. ‘This was guided by good faith after assurances received from Daniel Cousin and considering the frequent expressions of goodwill by Pierre Aubame to always help the national team. Pierre Aubame, 53, captained Gabon at their first Nations Cup finals appearance in 1994 and was one of the country’s first exports to club football in France, where his son was born. The 41-year-old Cousin, who was a forward at Rangers and Hull City, was previously team manager in charge of logistics. Camacho, was fired last week after a run of only two wins in 17 matches in charge over the last two years.